A few years ago Google launched Google Streetview with Scottish data and users could drive past the nature reserve; there is almost a mile of the A828 road which runs alongside the Duror Nature reserve. The A87 runs through the middle of the Reserve at Mountainview, home to Wildcat Haven and Bumblebee Haven. tour of the Duror Nature Reserve. Unfortunately they did not feature all the tracks – there are many miles of these – and the pictures are now more than two years out of date. But it still provides an opportunity for lairds who have no expectation of ever visiting to see what they own. This year we have begun our own digital mapping of the reserves, using drones, so that customers will have access to higher resolution photography. Google too, have updated their mapping, releasing a new series of maps of the area that show features absent from the old maps. 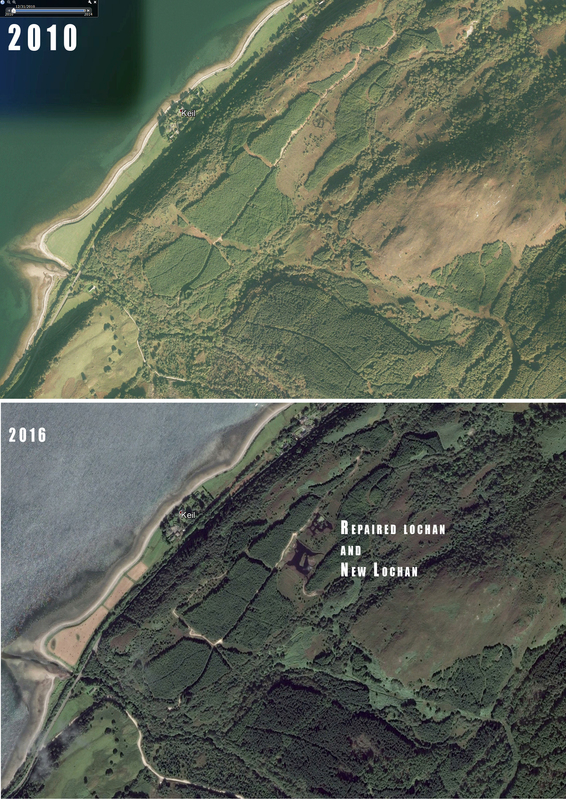 The repaired old lochan and the new lochan, the new tracks, the bracken free areas created by our pigs, the wildlife viewing hides and several other features that might be visible only to those who have known Keil Hill over several years. Missing, unfortunately, are the areas of cleared Sitka and the work we have done to boost the number of habitat boxes and benches is not visible of course. To take a closer look at the Nature Reserve at Duror, please click on the Streetview logo for a tour, or the map on the right to compare the old map with the new map. Or just explore Google Maps below.